Per the Seller: The F32 has been properly maintained over the years. The bottom is inspected and touched up each year. The engine is professionally maintained, and the port engine was recently rebuilt. Normal wear and tear. 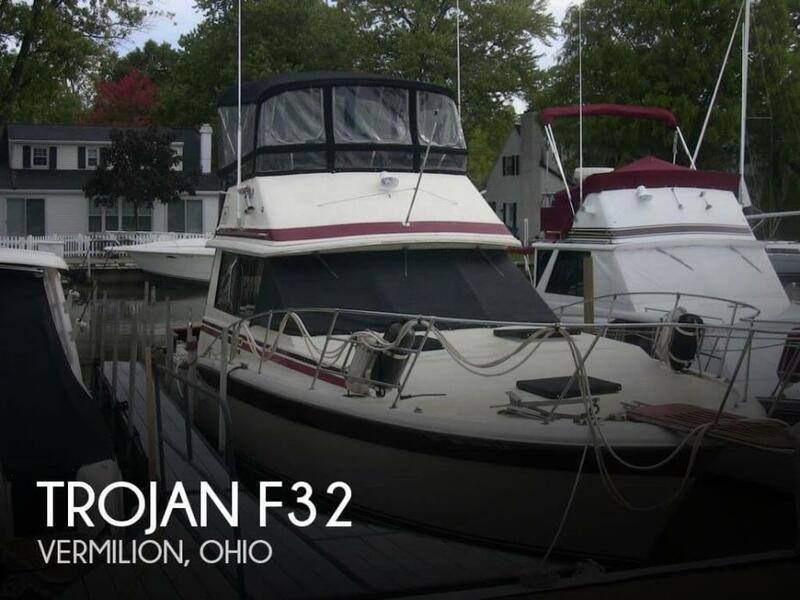 Stock #138078 ROCK SOLID Trojan F32 - Flybridge - 13' BEAM - AFFORDABLE If you are in the market for a sportfish/convertible boat, look no further than this 1982 Trojan F32, just reduced to $14,000 (offers encouraged). This vessel is located in Vermilion, Ohio and is in good condition. She is also equipped with twin Chrysler engines that have 806 hours. Reason for selling is looking for larger boat. 1995 CELEBRITY 230 BOWRIDER, 7.4L MERCURY ENGINE, BRAVO I STAINLESS PROP, 358 HOURS, STERIO/CD, RUNS GREAT, BIMINI TOP. INCLUDES TANDEM AXLE TRAILER W/SURGE BRAKES PLEASE CONTACT ME WITH ANY QUESTIONS. For sale is my 1978 thompson with trailer. Boat is powered by a 4 cyclinder volvo i/o with the penta outdrive. 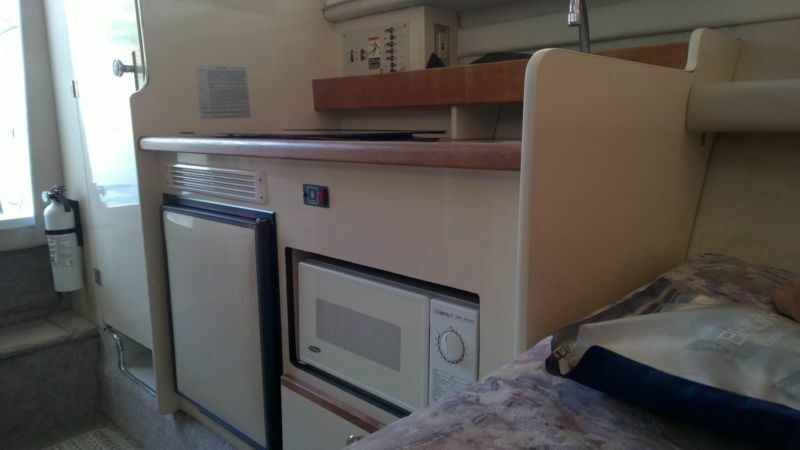 Trailer is a single axle shorelander with brakes (dont think the brakes are working)Boat title calls the boat a 7890 special, but i believe the proper model is a 190 catalina.Boat has LOW hours... less than 200 on the meter, has had the floor replaced. Has a new starter and alternator.Only problem is it leaked a little water where the outdrive meets the transom. This has been sealed and no longer leaks. I was told by a marine mechanic that there is a gasket that most likely needs replaced.Motor starts quickly. Boat comes with all safety gear and a lowrance lms 480 fish finder, and a full tank of gas Also all repair manuals and original paper work come with the boatOhio Registration is good through 2016 Boat has been a freshwater boat its whole life and has never seen any salt water Questions please ask.